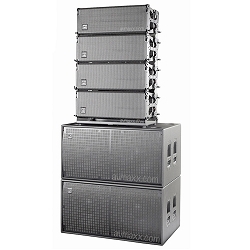 The QSC Line Array speaker system consist of the incredible QSC KLA12 and QSC KLA181 that combines astounding power, amazing flexibility, and road-ready dependability in a surprisingly lightweight package that sounds absolutely amazing. 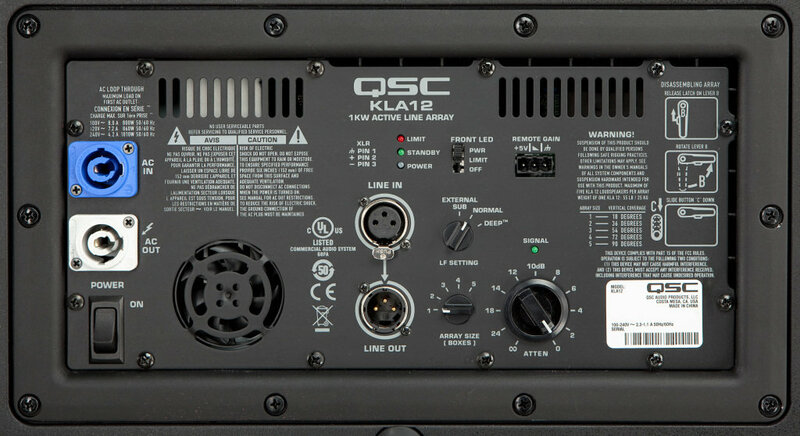 The KLA181 is a hard-hitting 1,000-watt active sub-woofer that features QSC's amazing DEEP DSP algorithm, which smoothly shapes bass frequencies for maximum impact. 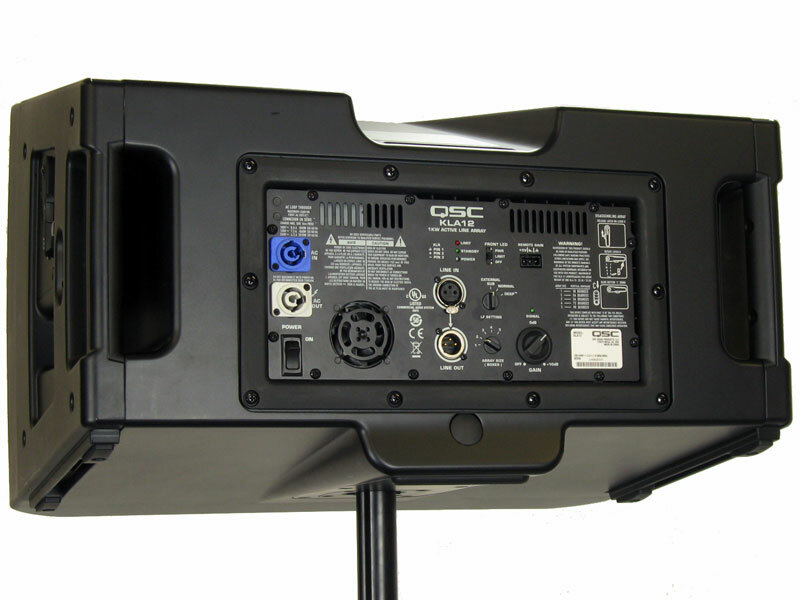 GuardRail protection allows the KLA181 to deliver maximum peak power, without overloading. 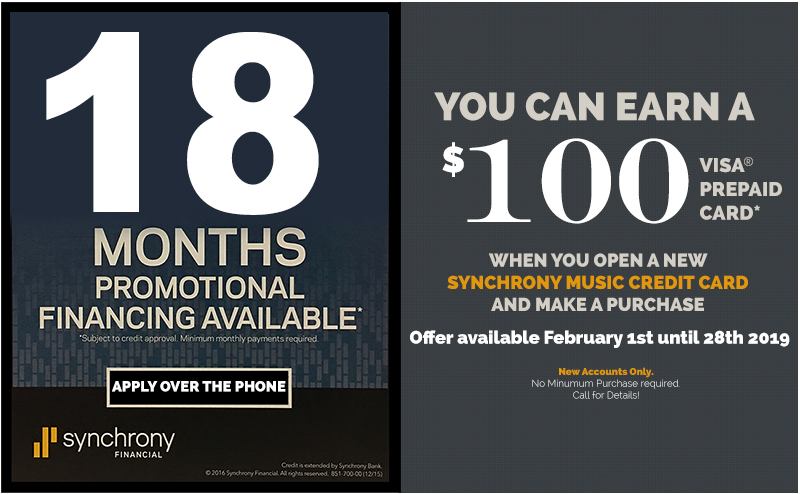 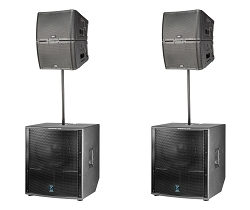 That lets you keep the crowd amped up, without risking show-stopping shutdowns. 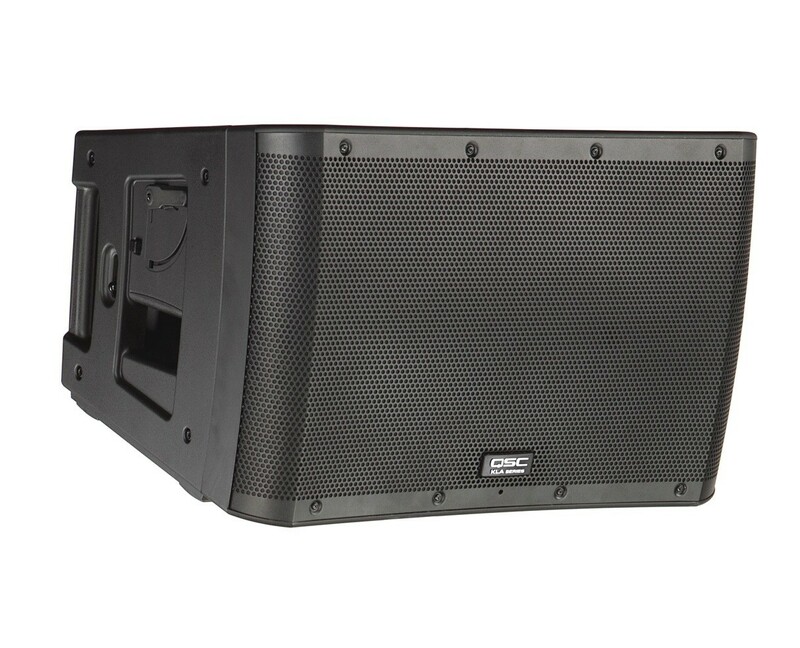 The KLA181 sub also features both a balanced line-level XLR though jack and a locking AC power through jack - perfect for daisy chaining up to a set of KLA12 top boxes pole-mounted overhead. 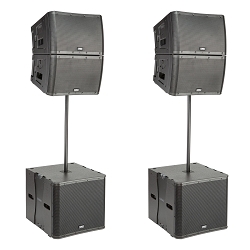 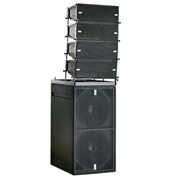 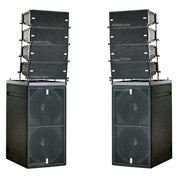 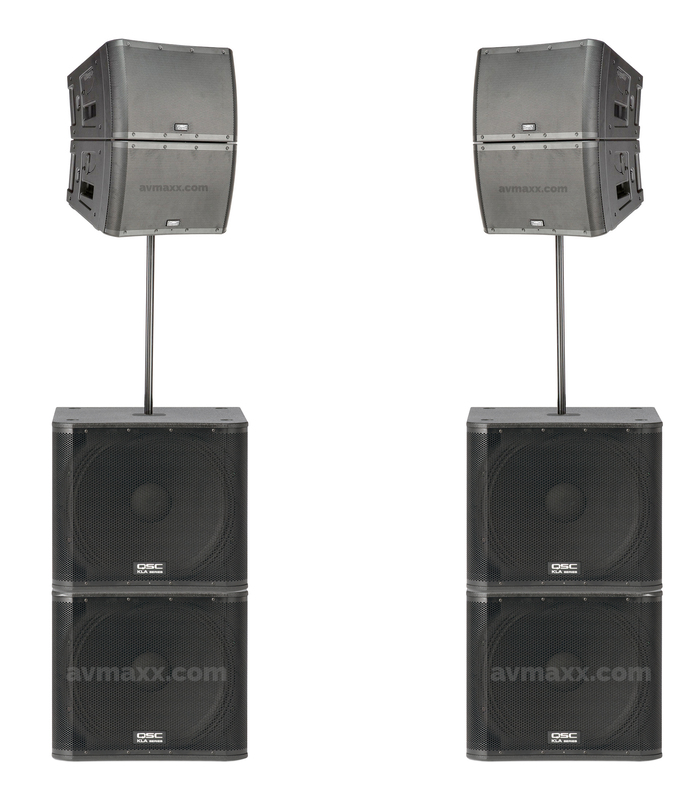 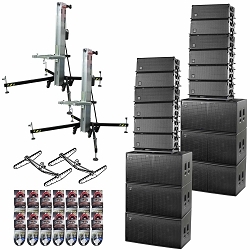 QSC KLA12 Active Line Array 12"
Dimensions: 21.6" x 23.1" x 25.7"